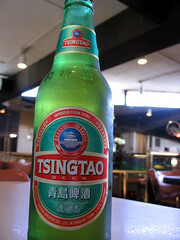 I have accepted a position teaching in Qingdao, China (AKA Tsingdao-yes, where the beer is from). As loyal readers know, I have being trying to find a way to return to China for a number of years, and have finally found a position that will get me there, on what I think are pretty good terms. I will be working with a program administered by Carleton University in Ottawa, Canada. The program prepares High School seniors for study in English speaking counties, focusing on the Canadian Assessment of English Language (CAEL). The CAEL is a very unique exam, sometimes called “the Canadian TOEFL,” but it is really very different than that test. 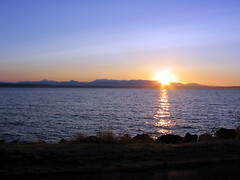 It is a centered on a single topic, revealed on the day of the test. Basically students listen to a lecture, read articles, answer questions, write an essay, and record a speech on the topic. The test is designed to truly reflect those skills students will need as an undergrad. Qingdao is a moderately sized (for China) city on the northeast coast. It is an hour flight from Beijing and Seoul and two hours from Tokyo. I briefly visited Qingdao during my travels in 2002 and was impressed with its seaside beauty and friendly citizens. It reminded me a little of Seattle. The city has been chosen to host the 2008 Olympic Sailing events so there is a lot of money coming in these days, should be anything but boring. I am very excited about the move and new job; unfortunately this means I will not be seeing most of you anytime soon. I should have easy access to email so please keep in touch. I’ll try and be a little timelier with updates to Stewsnews.